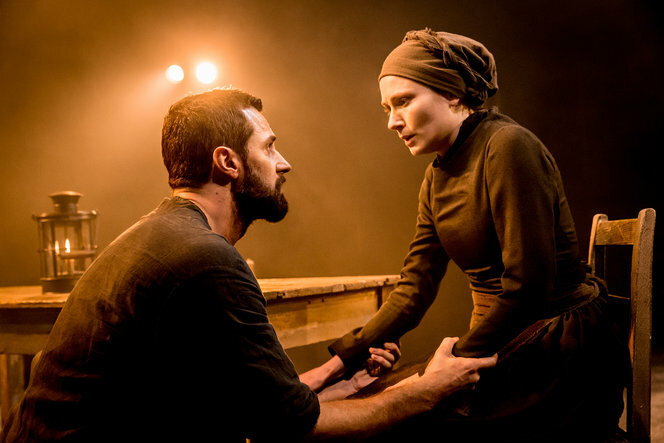 The Old Vic’s current revival of The Crucible is the most intensely gripping, thoroughly enthralling, powerful, visceral theatrical production I can remember experiencing. 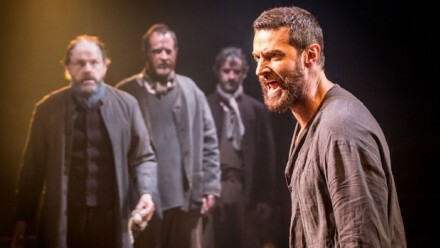 From the moment you enter the sack cloth draped walls of the auditorium, into the crucible created by this ‘in the round’ staging, the smell of burning embers biting at your nostrils, you are grabbed by the throat and held there on the edge of your seat for over three and a half hours; three and a half hours that fly by in the blink of an eye. 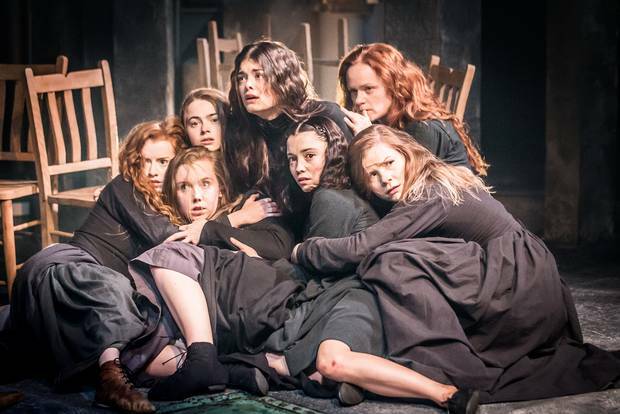 Arthur Miller’s 1953 fictionalised account of the 1692 Salem Witch Trials is both a powerful indictment of the McCarthyism of the era when it was written and the all-too real and present danger of religious extremism in society. In an era defined by religious fervour, the small settlement of Salem is whipped into a frenzy of collective hysteria, paranoia and persecution by a servant girl seeking revenge and a society swayed by superstition. The staging is simplistic, focussing attention firmly on the action. 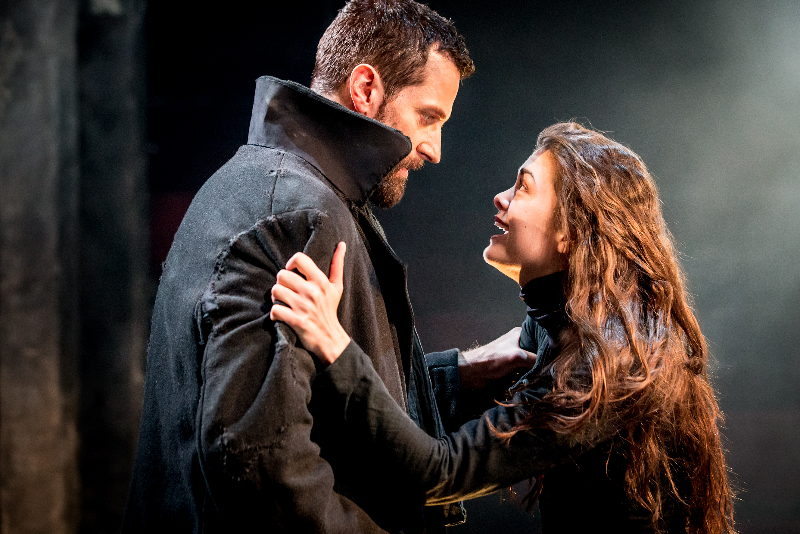 Richard Armitage proves to be perfectly cast as the guilt-ridden but fundamentally decent John Proctor. He is a commanding physical presence, magnetic, radiating quiet power throughout, he remains at all times utterly electrifying. 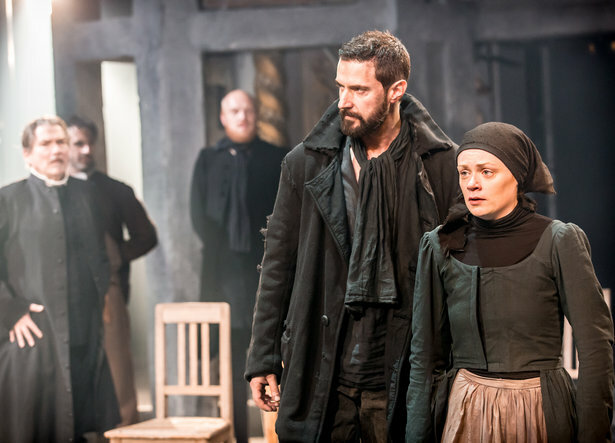 He is more than ably supported by his fellow cast members, in particular Anna Madeley as wife Elizabeth, the woman who has driven him to seek comfort elsewhere; Jack Ellis as witch-hunter Danforth and Adrian Schiller as Reverend Hale who fights against the tragic miscarriage of justice. The ominous feeling of dread builds throughout, tightening its grip moment by moment, until it reaches the devastating climax. As the lights dim at the conclusion you are left emotionally wrung out. This timeless classic is as relevant today as it has always been and this production is completely, utterly and truly unmissable.